The segregation unit at the Washington State Penitentiary occupied the south end of a long brick building known as Big Red. Since Big Red was in the middle of the institution and next to People’s Park (see site plan), communication between inmates in seg and inmates in the general population was easy: words could be shouted through open or broken windows, and some inmates could visit them in their segregation cells. Before the seg yard was torn down in 1978, notes, drugs, and weapons could be tossed over the seg yard wall by inmates standing in, or passing through, People’s Park. Because of it’s location, and the way it was run, segregation didn’t segregate. 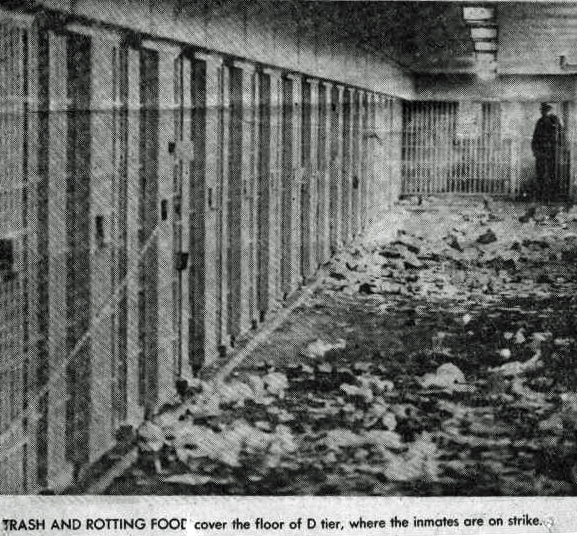 To demonstrate their displeasure, inmates in seg would often thrown trash, food, and human waste onto the tier. The unfortunate officers assigned to work the unit were issued full face masks, rain slickers, and dairy boots, to prevent them from being hit by excrement or urine. If the garbage and waste were left long enough, maggots would multiply and the filth on the floor would start to move. 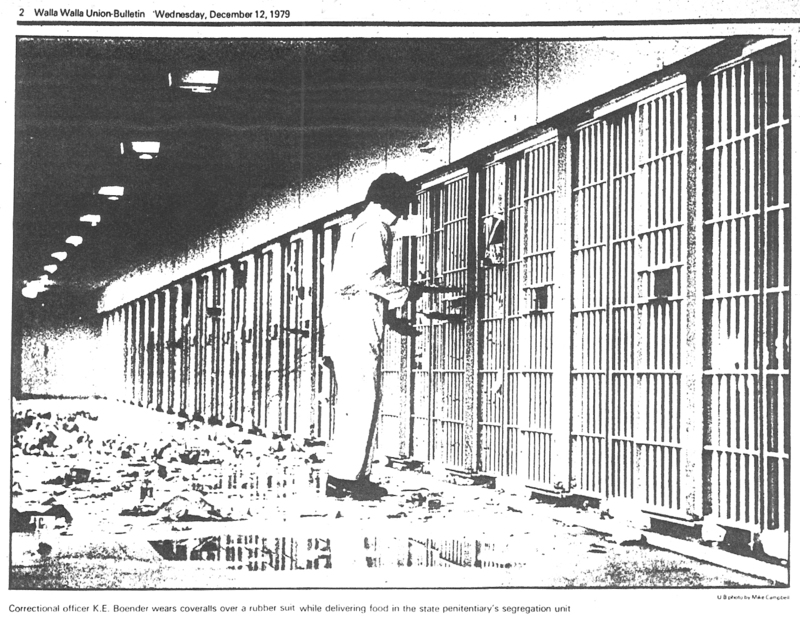 The first picture below is from a “strike” by the segregation inmates in 1979. The second shows an officer delivering meals while wearing a rubber suit and face mask.